Anyone who is seriously studying libertarianism or Austrian economics will eventually stumble upon the name Ludwig von Mises, and it will probably be sooner rather than later. Ludwig von Mises was a brilliant, brave man, and his groundbreaking work has been a beacon of light for lovers of liberty all over the world. His story is both inspiring and uplifting. 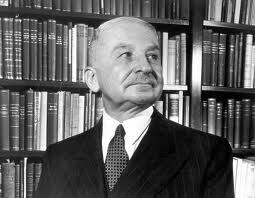 Ludwig Heinrich Edler von Mises was born on September 29, 1881, in Lemberg, Austria-Hungary (now Lviv, Ukraine), son of Arthur Edler von Mises and Adele Landau. His father’s family had been elevated to Austrian nobility, and the family was in Lemberg for purposes of his father’s business with the railroad. His mother was the niece of Dr. Joachim Landau, a deputy in the Austrian parliament. By age twelve, Ludwig could read and write German, Polish, Yiddish, and French, and he could read Latin and understand Ukrainian. His brother, famous physicist Richard von Mises, was a member of the Vienna Circle. In 1900, he attended the University of Vienna, where he was influenced by the works of Carl Menger. He entered the school believing in left-leaning interventionist policies, but he was quickly won over by the Austrian school with its emphasis on individual action rather than mechanistic equations as a basis for economics. He befriended the prominent economist Eugen von Böhm-Bawerk. Von Böhm-Bawerk’s work includes the devastating refutation of the Marxian labor theory of value. Mises went on to become a close advisor to the Chancellor of Austria, Engelbert Dollfuss, who was austrofascist though decidedly anti-Nazi, as well as the then-claimant to the throne, Otto von Habsburg. His friends and students also included Wilhelm Röhpke, Jacques Rueff, Alfred Müller-Armack, Lord Lionel Robbins, and Italian president Luigi Einaudi. Mises, as a close advisor to the Austrian government, single-handedly slowed down Austrian inflation in the 1920s. He was a staunch advocate of laissez-faire and a strong gold standard. Of course, as a result, he was barred from holding a university position in Austria and later in the United States. Mises’ ideas were often out-of-favor, but in spite of adversity, he fiercely defended his beliefs. He developed his own private seminars, which attracted some of the best and brightest economic and philosophical minds in Europe at that time. His theories were adopted in England in the 1930s as the explanation for the Great Depression. In 1934, Mises left Austria for Geneva, Switzerland, where he was a professor of economics at the Graduate Institute of International Studies until 1940, when total war broke out in Europe. Because of the Nazis’ anti-Jewish sentiments Mises, fearing for his life, fled to the United States along with many other Jewish refugees. Mises’ works in Switzerland were burned, and he found himself nearly penniless and, at the age of 59, starting over in a country where he did not know the language. However, within just four years of his arrival in the US, Mises published Omnipotent Government (1944) and Bureaucracy (1944), both in English, a language which had been completely unknown to him only four years earlier. They were followed by what many consider to be Mises’ magnum opus, Human Action (1949). Mises went on to do some of his greatest work while he was in the United States and is credited with bringing the Austrian school of thought across the Atlantic and creating a home for it on American soil. Mises constantly swam against the current. His ideas were not en vogue for the better part of the twentieth century. However, he argued against those philosophies which he believed to be disastrous in their consequences, such as socialism, polylogism, relativism, and historicism, as well as irrationalism and any and all denials of objective truth. Mises rejected economics based solely in what he considered to be unrealistic mathematical models and statistics, but instead insisted on using praexology, a term he coined based on logical deduction based on relevant axioms. Although he worked at New York University, he never achieved status beyond Visiting Professor, and he was never salaried. His salary was paid privately by the conservative-libertarian William Folker Fund until 1962, and after that by a group of entrepreneurs and free market foundations. 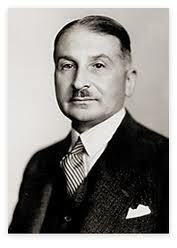 Mises was a radical to his last bone and considered himself a liberal in the nineteenth-century sense of the word. He favored rational thought and liberty in all actions, both economic and personal. Mises died at the ripe old age of 92. One year later, his greatest student, F.A. Hayek, won the Nobel Prize in Economics for elaborating on Mises’ theory of the business cycle during the late 1920s-1930s. Today, Mises and his works are honored by the Ludwig von Mises Institute in Auburn, Alabama, which was founded in 1982 by notable libertarian Lew Rockwell. Mises’ works, though unpopular in his own time, have recently experienced something of a renaissance, probably due to the economic downtown and failure of Keynesian economics to right the situation. As Mises’ ideas about freedom and sound money spread, more and more people -particularly young people, and thanks in large part to the Ron Paul movement – are educating themselves about money, government, and economics. Indubitably, this is a remarkable legacy left by a truly remarkable man. Mises: truly a revolutionary mind. If you are interested in reading more about Mises’ works and the Austrian school of economics, please visit The Ludwig von Mises Institute. They have a wealth of free literature and online classes for reasonable prices.